Bob Bertemes has surpassed his new national record of 26 January just over a week later by 18 centimetres. In Rochlitz, Saxony, Bertemes beat his old record of 20.67 metres by 18 cm. 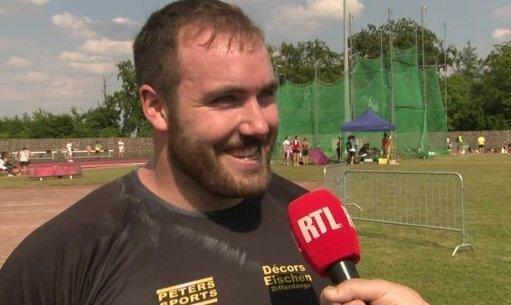 His new record in shot put, which is incidentally the national record of Luxembourg, is now 20.85 metres. The result pushed Bertemes to second place, following David Storl who won with a score of 21.26 metres.